Every Bitcoin casino affiliates review on DublinBet Casino affiliate program will tell you the same thing – add this program to your list of options. 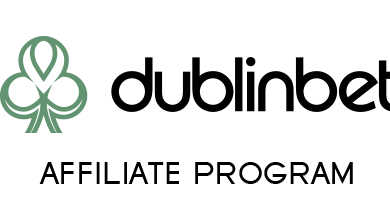 The reason is that DublinBet Casino is easy to market. The gaming site has a huge library of games coming from the best developers. In addition, you will find that the program is powered by iGaming Partners. Following this, you can expect a Bitcoin affiliate program that offers a competitive earning plan. Sign up for DublinBet Casino affiliate program and you will have a great jumpstart for your Bitcoin affiliate marketing venture. As a new partner, you will earn a 50% rev share during your first three months. This is unlike most Bitcoin affiliate programs wherein you start with a rev share of 25%. Your first three months is the best time for you to bring in as many players as you can. However, at the start of your fourth month onward, your rev share will now depend on the net profit the casino gains from your referred players. If your players make the gaming site earn $0.1 to $5,000, your rev share will be 25%. But if they bring in $5,001 to $10,000 worth of casino profit, your rate will be higher at 30%. The higher the site’s profit is coming from your players, the bigger your earnings will be. You may even reach the highest rev-share tier of 50% – that is if the site earns $25,001 or more from your invites. Getting a high profit share, then, entails greater effort in marketing. In addition, DublinBet Casino affiliate program enables you to earn by referring others to the program. For each person you turn into a DublinBet partner, you earn 10% of his net profit. CPA and Hybrid deals may also come available, depending on your negotiation with the management. Promoting the brand is not as hard as you think. 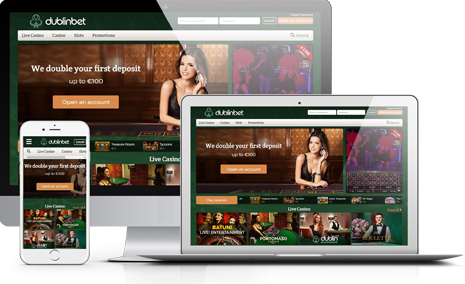 The DublinBet Casino affiliate program will provide you with effective tools in marketing. Rest assured that you will have full access to attractive flash and gif banners, among others. Also, you will find it easy to monitor your players’ activities through the program’s top-notch tracking tool. Now you are confident that the site gives you what you deserve. Upon raking in more players, you can just wait for your payouts to roll not later than the 10th of each month. The cash-out methods you can choose from are Neteller and Skrill, among others. Although payments are all in euros, you can rest assured that there is no carryover of negative balances. This means that your balance will reset to zero at the beginning of each month. Should you have questions about your payouts or about anything else, the site has a friendly support team. You may contact them anytime via email. They will make you feel you are an important part of DublinBet Casino affiliate program.